Do you want to share your photos on social media? As a photographer, you can reach a larger audience by allowing your visitors to share your images on social channels like Facebook, Twitter, Pinterest and more. In this tutorial, we will share how to market your photos on social media. While social media can be great for marketing your photos, it’s important to have your own website in order to have complete control over your images online. 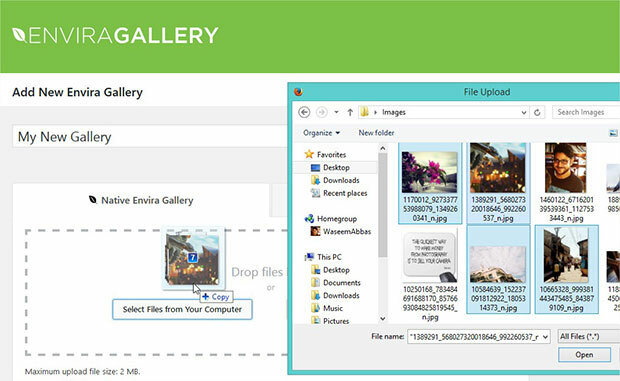 With the Envira Gallery plugin, you can display your images in a unique style. Envira has more than 25 addons and powerful features to help you create impressive image galleries to attract and wow your visitors. 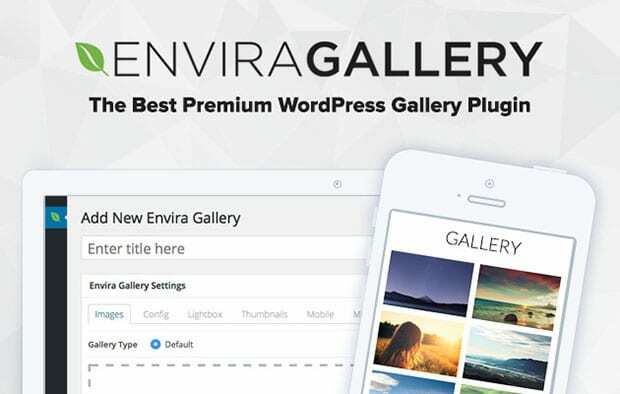 First thing that you need to do is to install and activate Envira Gallery plugin at your WordPress site. You can learn about how to install a WordPress plugin to quickly get it done. 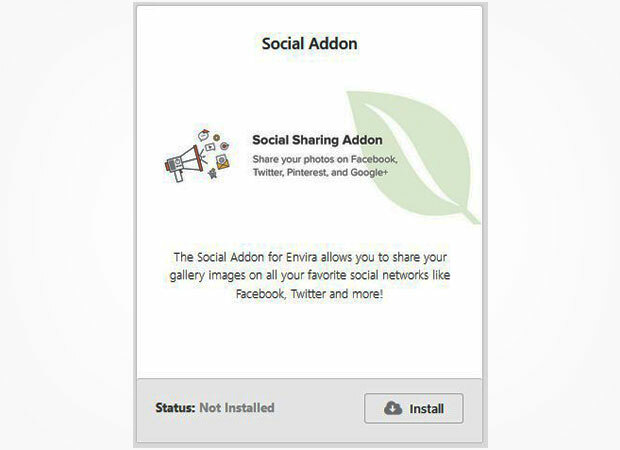 Upon activating the plugin, you should go to Envira Gallery » Addons. Install and activate Social Sharing addon. To use this addon, you must have Enivra’s Pro or Ultimate license. You can upgrade your license anytime. 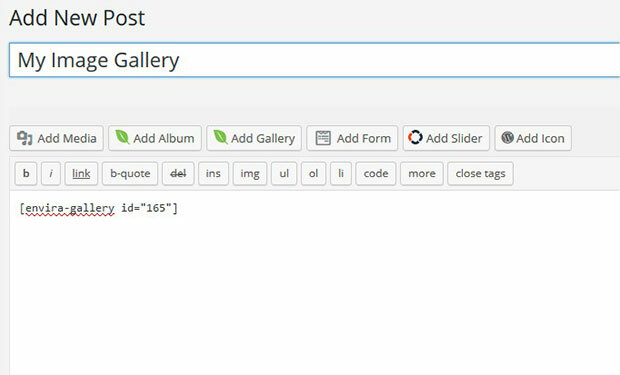 After activating the addon, simply create an image gallery at your site. 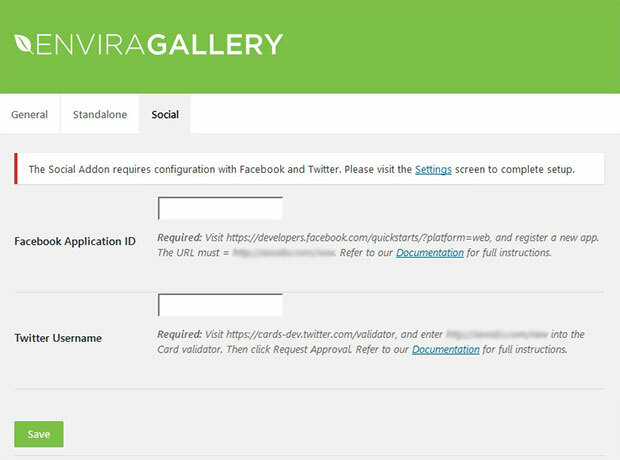 You need to go to Envira Gallery » Add New from WordPress admin. Give a suitable title to the image gallery and drop your photos in the Native Envira Gallery section. Next you need to go to the Social tab in your gallery to display social sharing buttons. You can select from Facebook, Twitter, Google+, Pinterest and Email. 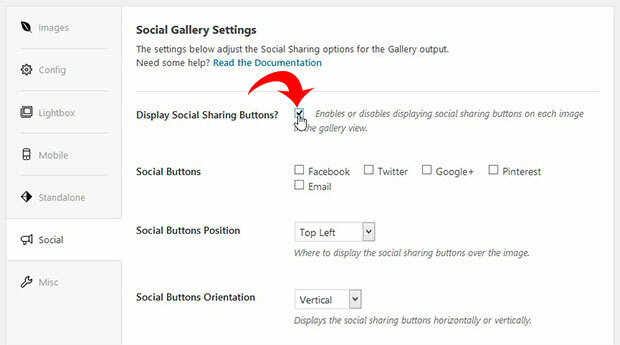 In these settings, you can change the display position and orientation of the social buttons. 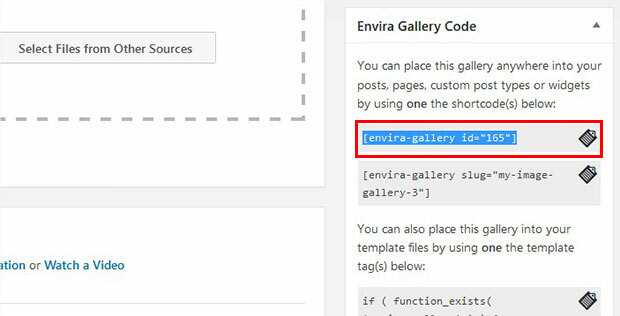 Hit the Publish button and copy the shortcode from Envira Gallery Code widget. You will need this shortcode in the next step. You should go to Envira Gallery » Settings. There is also a tab for Social settings. In this tab, you can add Facebook Application ID and Twitter Username to configure Facebook and Twitter respectively. Instructions are given below each field to validate the social accounts. With social sharing enabled, your audience can easily share your images and boost your social media marketing. Once you have configured and enabled social channels for your photos, go ahead and display the images to your site. You need to go to Pages/Posts » Add New or edit an existing page/post. In the visual editor, simply paste the shortcode that you copied in the previous step. Make sure to Update your page/post. Your photos will have the social sharing buttons that help your visitors to share images to social media. That’s all. We hope this guide has helped you to learn how to market your photos on social media. You may also want to check out our guide on how to showcase your photography online with Envira Gallery. If you like this guide, then please follow us on Facebook and Twitter for more free WordPress tips and resources.